There was a problem with receiving this item, and I called Overstock's Custiner Service about what could be done. Not only did they initialize a search, they also recent the item without any hassle on my part! Overstock was fantastic and they loved their gifts! Enjoy the comfort of a traditional must-have with this Turkish bath towel that is known for both its versatility and convenience. This light weight towel is ideal to take to the beach or pool because it is highly absorbent, yet fast drying. 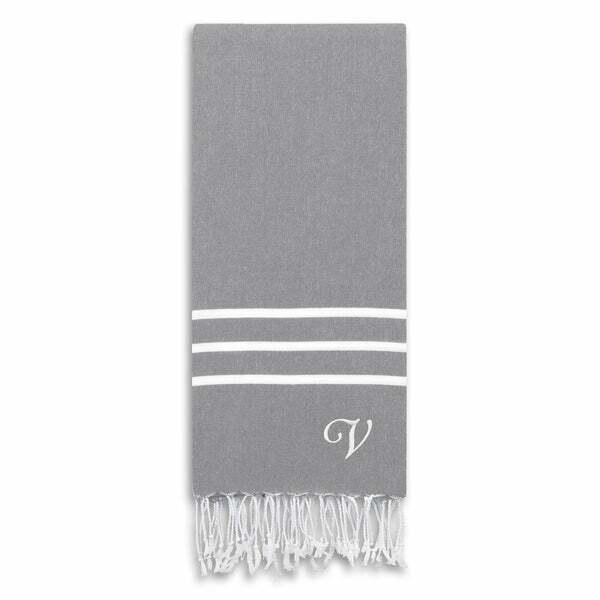 Featuring a soft grey color with white stripes, the 100-percent Turkish cotton material is accented with hand-tied fringe and can be customized with an elegantly monogrammed initial.